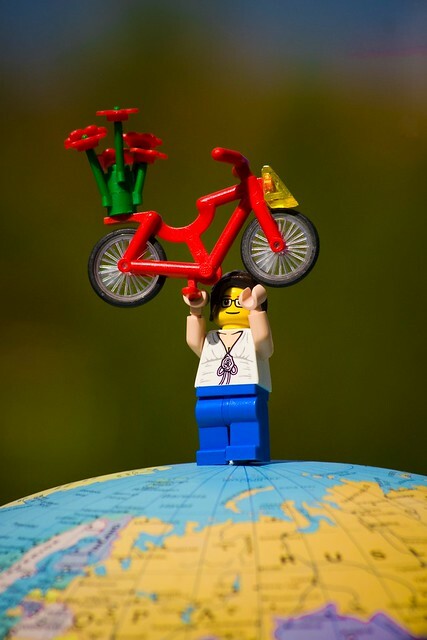 When you live in a home with over 20 kg of Lego, using it comes naturally. 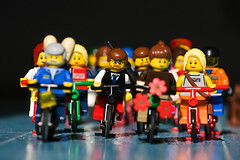 I noticed five years ago that I didn't have a lot of Lego bicycles. 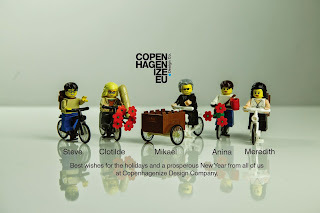 I soon discovered that they are rather hard to come by, despite the fact that Lego is, of course, Danish. 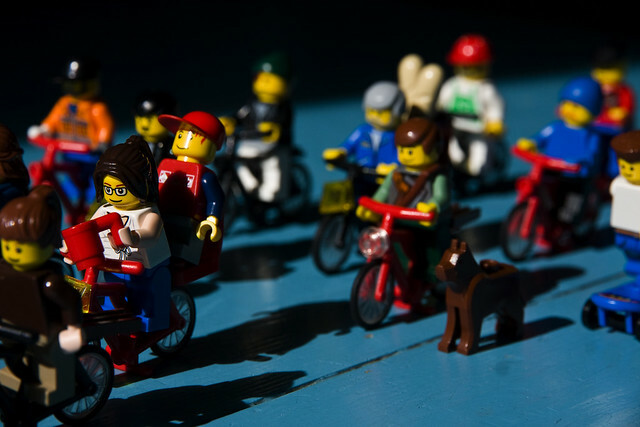 In America, for example, the quickest way to get a Lego bicycle is buy the ambulance set. Seriously. 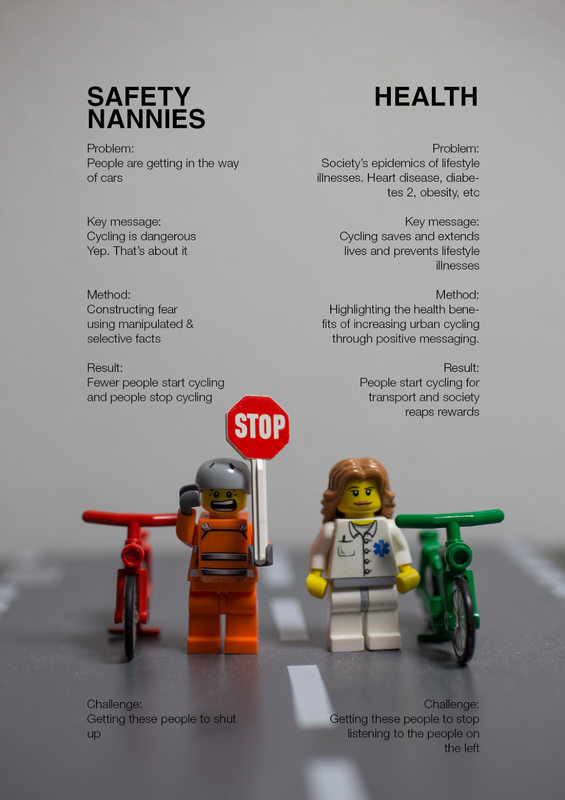 Selling fear of cycling in a Lego box. 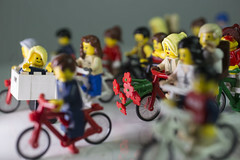 But back in 2011 I wanted to do a rendition of the Copenhagen rush hour in Lego bicycles. 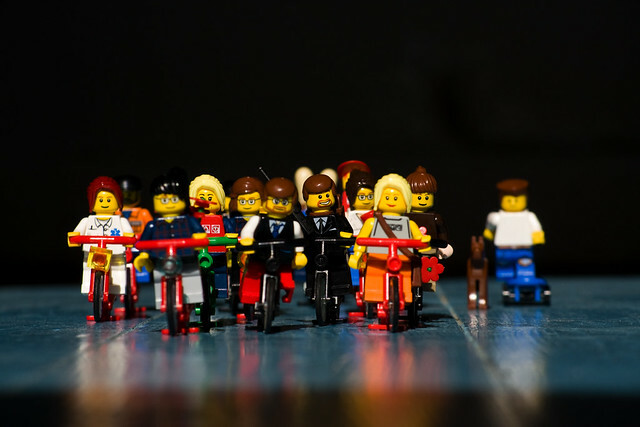 I stripmined eBay in four countries buying bikes and mini-figures that resembled normal people. 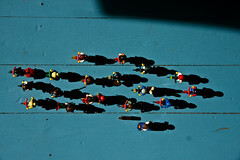 Finally, shot a series of photos like the one up top. 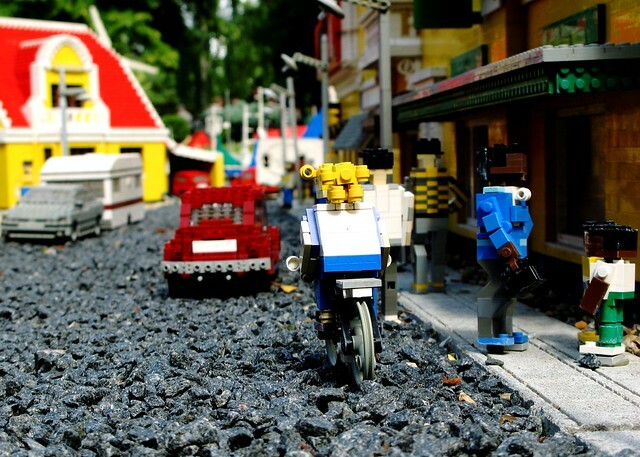 My inspiration also had a root at the Legoland theme park. 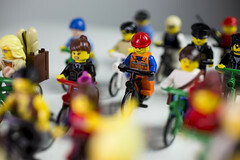 I spotted this cyclist, above, from the age before the mini figure, which makes them awesome. From the age before rubber tires and asphalt, too, it would seem - so even more respect. 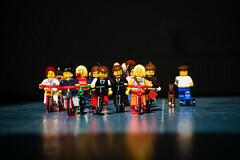 Looking around the internet I discovered that there are/were sets that featured Lego bicycles, as you can see above. 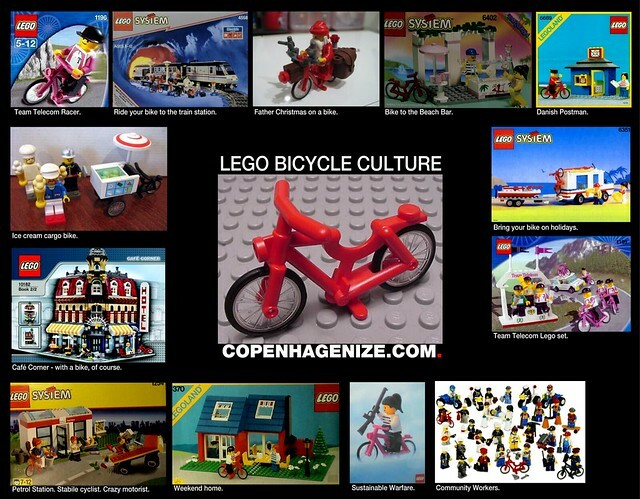 Then, of coursre, I discovered a nerdy website listing all Lego sets with bicycles in them. Ever. I tried to get all sorts of different people represented. Workers, doctors, parents, you name it. 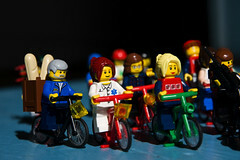 Late last year I did another shoot, featuring more bicycles and style of citizens. Finally managed to get a cargo bike built. 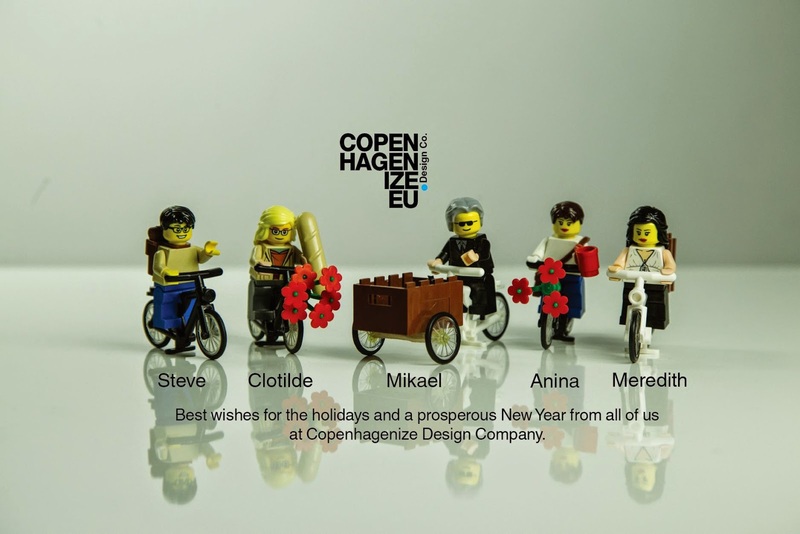 At Copenhagenize Design Co. we make holiday cards with mini-figures featuring ourselves in Lego. 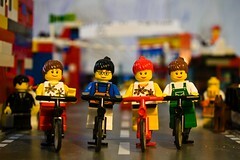 That's me in the middle. What else can I pull out of the archives? 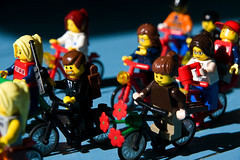 Cycling home with Lego containers for storing... Lego? Check. 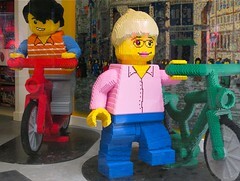 And a photo from Sandra at Classic Copenhagen featuring Godzilla-sized cyclists at the Lego flagship store in Copenhagen. 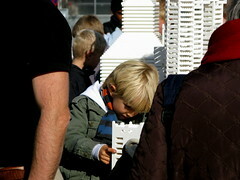 Lego and urbanism? You bet. 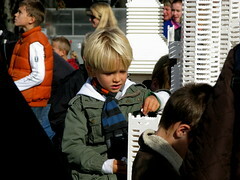 A few years ago the Danish Architecture Center (DAC) had Lego on tables on the City Hall Square and Felix and I hung around for ages constructing buildings. 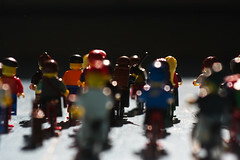 We always show up at DAC when they do Lego events. 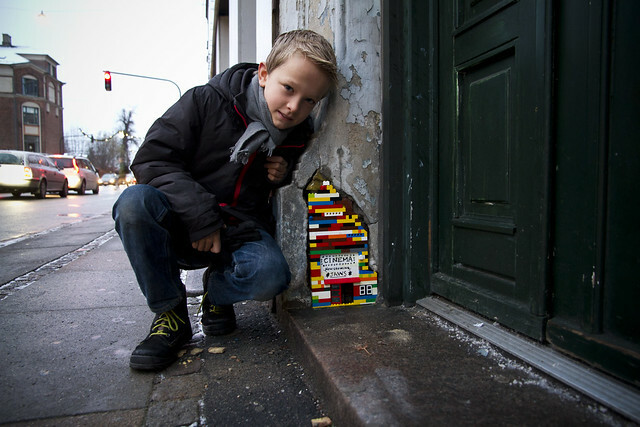 Felix and I also addressed a bit of urban decay with a Lego-based urban infill solution across the street from our house. 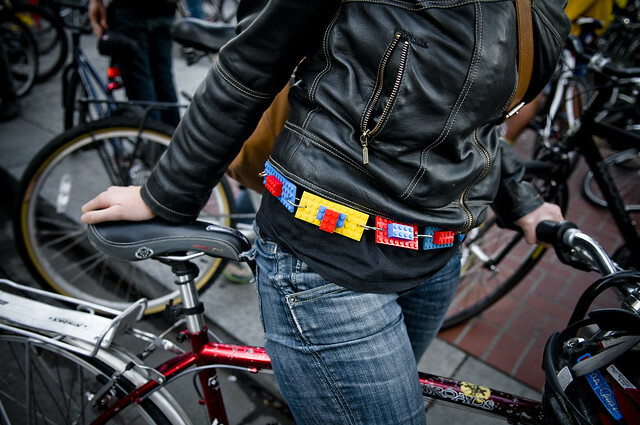 When speaking in San Francisco back in 2009 I rode in the Halloween Critical Mass and met this fabulous local with her home-made Lego accessories. 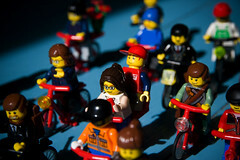 Wasn't a fan of the critical mass thing, though. 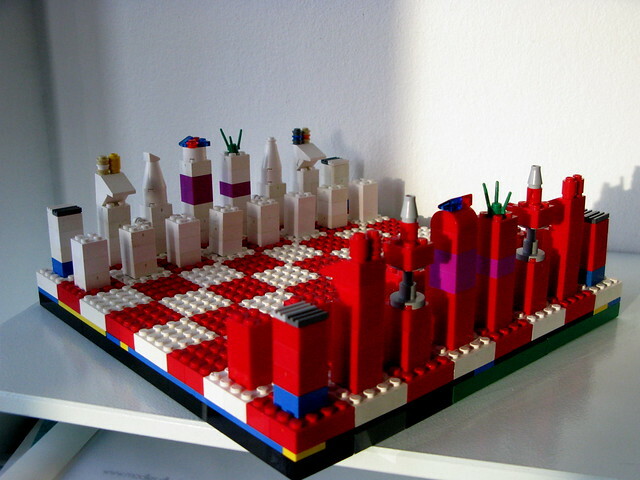 No bikes here, but Felix and I made this chess set years ago and it is still used. The most Danish thing I know. 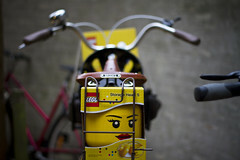 Lego can be used in many ways. The Danish version of the morons on the left are right here. You have your version, I'm sure. But hey. 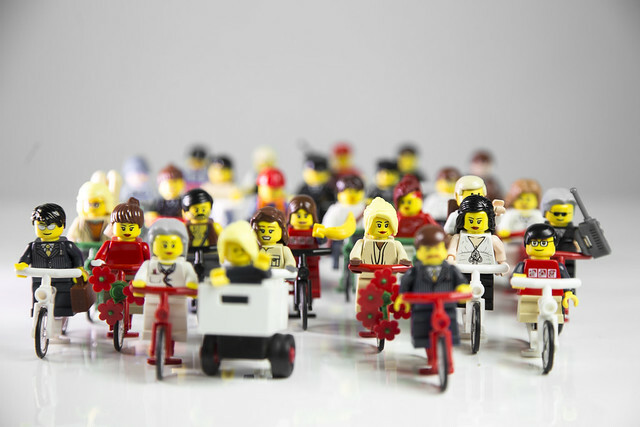 Lego ain't going anywhere. 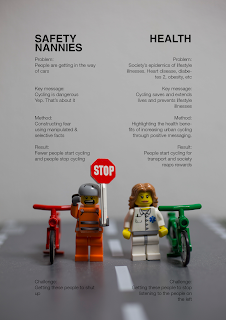 Bicycles ain't going anywhere. I'm going to keep on combining the two.